-Overuse of the old material. -Takes itself to seriously at times. If your a fan of the first you will laugh occasionally. If you haven't seen the first don't bother. Last Thursday I was very lucky to attend the premier of Zoolander No.2 at the Empire Cinema in Leicester Square. After walking down the blue carpet (obviously), we were treated to the man himself Ben Stiller giving a speech about how this is the film the fans have been asking for. If they were asking for a relatively mediocre hour and forty minutes of sometimes funny cinema that’s what they got. Zoolander No.2 follows the titular Derek Zoolander as he comes to terms with his wife’s death by the building that he built, the wonderfully named “Derek Zoolander Centre for Kids Who Can’t Read Good and Want To Learn To Do Other Stuff Good Too”. After that his young son is taken away from him, he has to go back to the world of fashion to prove he is a fit father, there is an inexplicable conspiracy he gets caught up in yadda, yadda, yadda. So as you can see this sequel’s plot is as ludicrous as the first but where the first Zoolander seemed to revel in its absurdity. Zoolander No.2 at times takes itself a little too seriously with overblown and oddly out of place action scenes that detract from what I think should be the cornerstone of every comedy film- the comedy. Like most comedy sequels (and to some extent all sequels) Zoolander No.2 suffers from the recycling of the same material (Hangover Two, anyone?). Now I know it should be in there for the fans and those who are new to a series. However, when your two main gags are “wow these guys are stupid” and “isn’t the world of fashion ridiculous” it’s time to add new strings to your bow. However there is a point in the film when it does treat its old material the right way; a scene that riffs off the gas station party with disastrous consequences from the first film. It works well and is hilarious it also comes complete with Wham’s jitterbug, who doesn’t love a bit of Wham? To give the film its due it does try to come up with new strings to its aforementioned bow, with its making fun of modern fashion, hipsters and social media culture which admittedly does tickle the old funny bone in some scenes. Although this may be true it does have a sort of “those darn kids today” attitude which really falls short because all those twenty somethings that were fans of the original kind of are those “darn kids”. Now the film does have some redemptive qualities. A personal highlight is Will Ferell’s reprisal of the evil fashion designer Jacobine Mugatu which is still delightfully absurd. His first scene involves a “face off” reference which by and large is one of the funniest moments of the film. Where Zoolander No.2 really shines is in the use of its celebrity cameos which I won’t spoil. Needless to say these cameos work best when the celebrity or actor is made to play against type and they provide a fair amount of the films unique humour. The film is breezily paced only clocking in at about 1:42 which for a comedy that lacks any real substance is perfect in my opinion. Also Stiller’s direction does well to blend the two styles of the action blockbuster and the Hollywood comedy well, even if it doesn’t quite achieve the balance of tone that I feel is lacking. 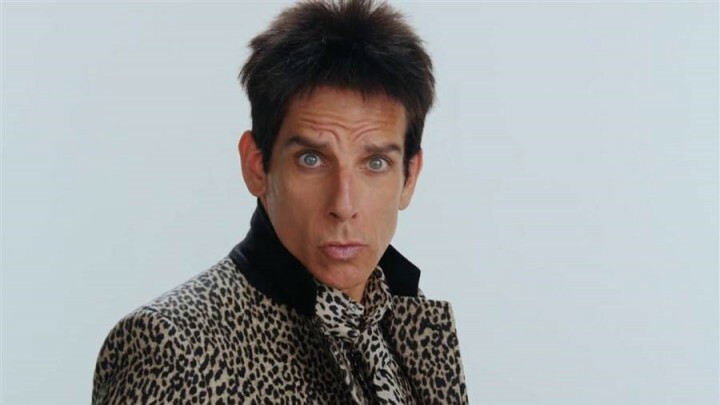 In conclusion Zoolander No.2 is a relatively fun but flawed film. It shines when it embraces its absurdity and in its use of the cornucopia of celebrity cameos. However its reliance on the previous films material and its tendency to grab a proper tone really lets it down overall. Should you watch it? In short, maybe? If you have a few shmeckles free, you are fan of the first film and there is nothing else on at your local cinema of choice then yes. If you prefer your comedy a little cleverer and less obvious don’t bother your just going to be disappointed.